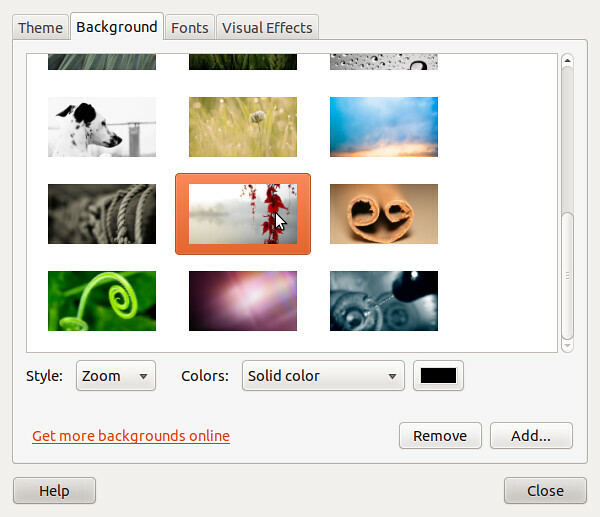 I have upgraded to Ubuntu 10.10 and what follows is a first of customization that I have done. Let us see how easy it is to have same image as a login screen background. Open a terminal and issue following command. Now log out of your session. You will see Appearance Preferences Window. Choose your favorite image as a background. Close the Appearances Preferences Window, login again. Step 2: Go to System->preferences->Startup Applications. Select “GNOME Login Sound”. Click “Edit”. Note that the “id” should contain only the name of the custom sound file that you have copied in step 1.